HUDSON, NY – Oct. 16, 2017 – Finding Farmland (http://findingfarmland.youngfarmers.org), a new website that offers educational tools to help young farmers address the top obstacles to starting a farm— access to both land and capital—was launched today by the National Young Farmers Coalition (NYFC) and Fathom Information Design. Features include a first-of-its kind land affordability calculator that makes it easy for farmers to learn about options for financing farmland and tools, such as easements, to help make it more affordable. Finding Farmland is a free educational tool for farmers and farm service providers, such as extension agents, and can be used as a standalone resource or integrated into a farm business planning course. Farmers can use the tool to analyze the financial impact that different options for financing a land purchase would have on their bottom line, or to compare the overall costs of two different properties. With two thirds of the nation’s farmland to change hands in the next twenty years, NYFC is ramping up its work to help beginning farmers and ranchers access land. Finding Farmland is part of a larger land campaign strategy, including Farm Bill and state policy advocacy, land access workshops for farmers, a land access webinar series, and a national working group for land trusts. 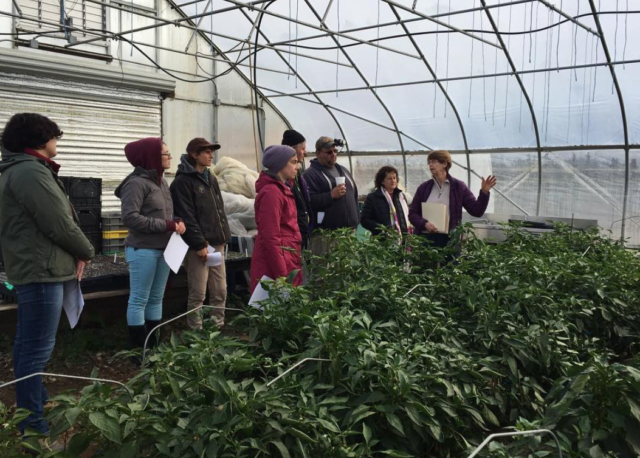 This project is supported by a grant from the USDA National Institute of Food and Agriculture through its Beginning Farmer and Rancher Development Program. The current site is a beta version. The site launch will be accompanied by a series of in-person trainings around the country and additional online resources. Fathom Information Design partners with clients to understand, express, and navigate complex data through visualizations, interactive tools, and software. Ben Fry founded Fathom in 2010 and in 2011 he won the National Design Award for Interaction Design. Fathom’s recent projects include No Ceilings with the Clinton Foundation, Connected China with Reuters, and What the World Eats with National Geographic.